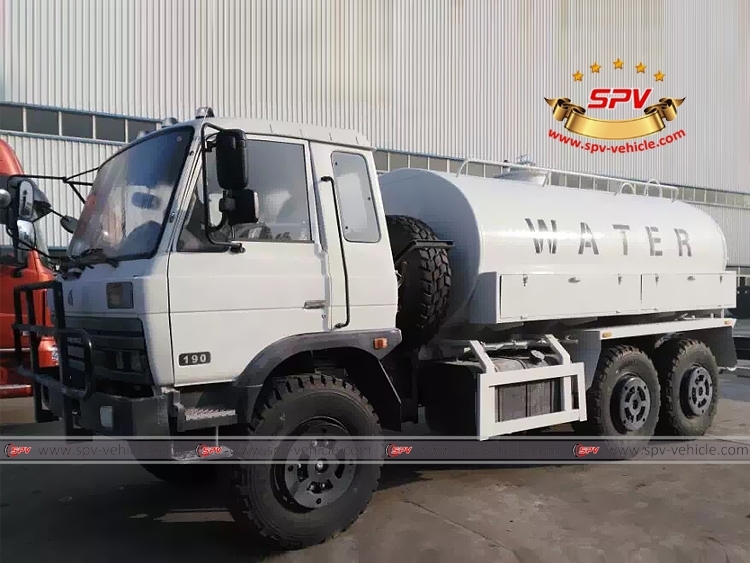 Water tank truck (also called water tank lorry, mobile water truck, water tanker, water carrying truck, truck mounted water tanker, water tanker bowser) is used to transport and supply water, whatever industrial or agriculture water, widely used in construction engineering, farm irrigation, draught relief, etc. 6X6 water tank truck could have good performance on tough road. It is the best choice to transport water to the places where road is very poor. Photo 1: One unit of Dongfeng 6X6 driven water truck(white color) shipped to Gambia in January, 2016.